1. Help them become problem solvers. It’s just natural for parents to want to protect their child from struggles, right? Really, who wants to see a loved one in pain or hurt? However, minor bumps or problems are opportunity to learn how to negotiate differences, speak-up for what you believe in, and find ways to overcome life’s obstacles. These experiences provide opportunities for divergent thinking, flexibility, innovative ideas and new possibilities. So encourage your child to seek out ways they can solve a problem before you jump in to fix things. Every opportunity where they tackle something difficult creates a sense of accomplishment and pride, and plants the seeds in their brain that they can accomplish something challenging. 2. Encourage competency. Okay, remember back to psychology 101 and the stages of psychosocial development? If you missed that class here’s a quick overview. Erickson believed we go through stages of development and as we master these challenges we move to the next stage. For children between 5-12 (Latency) child work to master Competence. This stage is about developing skills, forming values, learning, exploring new things, and mastering interests. Learning to practice, commit to, and follow-through are ways to help your child develop a sense of mastery. Find out what your child is interested in (such as art, music, sports) and help them fine-tune these skills. They will feel a sense of accomplishment and self-pride and they learn and master new things. 3. Acknowledge their attempts and effort. Research shows that when children who work on complex tasks were praised for their efforts, they performed better on challenging future tasks. Children who were told by the researcher “they must be smart” were less likely to take risks on future tasks and increase their performance. Perhaps children who are praised are fearful of losing that praise or being seen as less than (can you relate)? So take time to acknowledge their hard work, tenacity, effort, responsibility, and help them to continue to expand and challenge themselves so that their sense of self is not dependent upon what others think. 4. Don’t fake it. Kids are so smart and savvy, and they are on to the things that adults have used over the years to attempt to build self-esteem. All the kids win a ribbon at the event, game points are not counted, and endless cheering and praise- your kids are on to you. External praise and declaring everyone a winner does not build self-esteem. Kids are smart and want to know you acknowledge their individualized efforts, keep it real. 5. Are you willing to be flexible too? I often see children blossom in self-confidence and self-esteem when they learn how express themselves and feel like they are being heard and respected. When a child learns some ways to express their needs at times it’s like the floodgates open, often with lots of testing. Inflexible parents may struggle in this period of growth wanting your child to express their needs, and then realizing that it may mean changing how you do things, your perceptions, or a willingness to do things totally different. To be honest, it’s often easier for a child to shift their behaviors, than for an adult whose been repeating these behaviors for 20 + years. So take inventory of ways you can be flexible and allow your child to develop their voice. They will feel more empowered, which is a great way to develop their self-esteem. Additionally, if they learn that they can state their needs with adults and be heard and respected (even when you may not agree), then imagine how they navigate those teen years (and beyond) by being able to speak up to their peers about what they believe in. Positive psychology research validates increased sense of optimism and happiness from using your strengths in new a novel ways on a daily basis. If you don’t know what your child’s personal strengths are take a moment to think of what activities they love to do, and can spend endless hours engaged in. Encourage your child to explore new ways of engaging in similar types of activities. For instance if your child is creative and likes to build using legos, encourage them to build something with new and novel materials, such as duct tape or popsicle sticks. They will develop a sense of mastery and competency, while enhancing their creative problem solving abilities, all enhancing a sense of self-esteem. 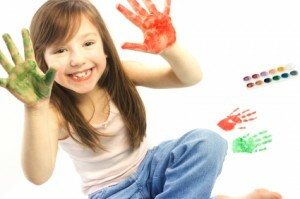 Children’s self-esteem is also linked to developing internal qualities, such as compassion, and caring. Ask your child to make an image of themselves and write out all the things they do and like, describing external qualities such as I am a good soccer player, and then ask them to describe their internal qualities, such as smart, funny, generous. Children often don’t recognize the internal qualities, and as a parent you can help them see the value in their unique personal attributes, and acknowledge when they are using these qualities. Parents can support their children self-esteem by recognizing when their child is accessing their internal qualities, such as being generous, kind or funny. Don’t forget to model these behaviors too! 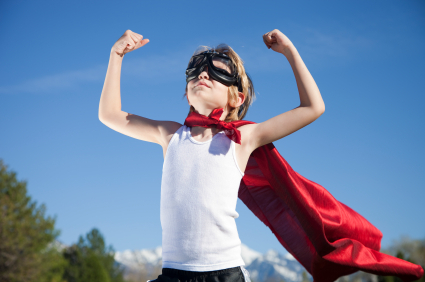 Why developing self-esteem in children may be overrated, seriously?! I came across a study recently on self-compassion, and how people who are more compassionate with themselves have less depression, anxiety, and tend to be more resilient, optimistic, and happier. So it got me thinking about how we encourage self-esteem in children, yet we don’t spend as much time and energy on cultivating self-compassion. What does it mean to be self-compassionate and how can we teach children how to become more compassionate? Adams and Leary (2007) define self-compassion as the ability to react with self-kindness and understanding when encountering difficult situations. In addition, self-compassion involves mindfulness of nonjudgmental awareness, and acceptance of one’s common humanity and understanding that they are part of a larger experience, and that others too share the common experience of difficult situations and emotions. Those who exhibit higher traits of self- compassion are less extreme in their reactions and fixate less on problems than those who exhibit lower self-compassion. Although self-esteem (feeling good about one’s self and maintaining a positive self view) is related to self-compassion, it has been noted in research that when experiencing negative events a self-compassionate mindset may be more beneficial than high self-esteem. As a child there are days when you get picked on, forget your homework, get totally embarrassed by a friend or a teacher. Encouraging self-compassion in children reduces negative emotions and increases personal responsibility for an undesired situation, whereby a child realizes their mistakes, without being overwhelmed by negative emotions. In doing so they are less likely to melt down or shut down or avoid feelings or circumstances in the future, and are likely to increase their ability to self-regulate their emotions and behaviors. So how can you help your child increase their self-compassion? Give them an opportunity to process the experience through play or art. Children often will explore their emotions and feelings through art and creative play (yes, even teens). Before you try to have a talk with your child allow them some space to understand and explore the experience of what happened. Provide them with a favorite creative activity, such as drawing or building with legos, or give them some quite time in their room. Model compassionate self-talk. If your child is struggling with a situation or problem let them express what they are feeling. If you find they are becoming negative and self-blaming acknowledge their feelings (“yes, I understand you are mad”…) then encourage your child to be compassionate in how they talk to himself or herself (“everyone has a bad day, today was a difficult one, tomorrow will be different”). Encourage flexible thinking. Children who are at a younger developmental level will often think that things are ‘all good’ or ‘all bad’, meaning they made a mistake then they believe they are bad. This black and white thinking may keep your child stuck perseverating that they are “not good enough” or “there is something wrong with them”. Acknowledge the situation and then encourage all the different ways your child could have handled the situation or can cope with it next time. 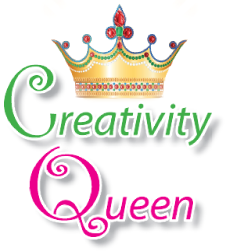 Be playful and allow for divergent creative thinking and downright silly ideas. Ask them what they would they say if it happened to a friend. This gives your child some distance from the problem and allows them the opportunity for awareness and kindness. Consider Consequences. Parents often struggle with consequences and worry about too few consequences or too many consequences. Criticism and discipline from an authoritarian “my way or the high way” style parenting will impact your child’s development of self-compassion; whereas an authoritative parenting style provides structure, support, guidance and feedback while helping your child resolve the issue. Notice how you model your behaviors. Children naturally mimic the adults in their lives, so be aware of the messages you send when you make a mistake or encounter a problem. Modeling self-compassion is the best gift to give yourself and your child too.